Goodroe joined The Procter & Gamble Company after graduating from Terry College in 1971. 1988 as head of sales for P&Gâ€™s Health Care business. He and his family relocated to Hong Kong in 1991 when he assumed sales responsibility for P&Gâ€™s total Asia business. In 1994, he was named Vice President-Customer Business Development, Asia, with responsibility for sales and business development in 17 countries, including China, India, Japan, and Australia/NZ. While living in Hong Kong, Steve served as Vice President of the American Chamber of Commerce (HK), and was a director of the American Club. 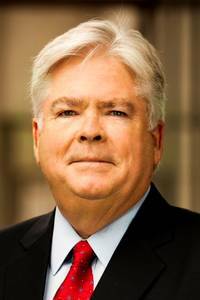 He returned to P&Gâ€™s world headquarters in Cincinnati in 1998 as Vice President-Global Customer Marketing, a role in which he served until his retirement at the end of 2001. He later led the successful startup of dunnhumby USA, a marketing services company that is a joint venture between The Kroger Company and dunnhumby Ltd. (London), serving as the companyâ€™s first CEO. Steve was an angel investor in Mu Sigma, a decision sciences organization which today has almost 100 of the Fortune 500 companies as clients. He currently serves as an advisor to Mu Sigma and is also on the board of directors of Demand Farm, a Bangalore-based start-up company in which he is an investor. Steve is actively involved in Terry College. He taught a marketing strategy course in the Executive MBA Program after retiring from P&G. He served two terms on the Alumni Board and is currently on the Emeritus Board. He also served on the advisory board of the Masters of Marketing Research Program and was involved in the start-up of the Music Business Program, serving as the chair of the advisory board. He assumed his role as Executive-in-Residence in 2006. Steve is a native of Georgia, born in Thomaston and raised in Griffin. He and his wife have two adult children. Steve and Linda split their time between Atlanta and Kiawah Island, SC.